Following a natural lifestyle can be tricky. There are partners and sometimes kids involved, everyone having their own opinion. Trying to figure it out on your own can be almost impossible. If you find yourself needing help with natural remedies or essential oils, then you, my friend, are in the right place. As I said, following a natural lifestyle can be tricky. There is a lot to learn. Do you know how to help your family by offering them natural remedies? Do you want to learn how to make your own DIY products that will keep you away from the many toxins in everyday merchandise? Are you wondering if essential oils are really effective or just a way for companies to get your money? Would you like to find natural ways to clean your home, be more productive, and rest better? Do you need the incentive to get outside, get your kids off the screens, and return to a more natural lifestyle? Whether you have been following a natural lifestyle for years or if you are just starting out, there is always something new you can learn. I remember the days when I was just beginning my health journey and I didn’t have anyone to talk to or answer my questions. I scoured the web trying to find natural remedies and ways to help my family. We needed help and answers. Walking the wellness journey can be difficult, and it is even more difficult when you feel alone. I believe living naturally is a blessing to many, and that we shouldn’t have to walk this path alone. There is increased health when we have people coming alongside us, supporting us. You need a community to come along with you and help answer your questions. I totally agree! I know you can be successful. You just need a little encouragement and knowledge to know what to do. This is why I started blogging so I could help people just like you. You want to either start or move forward on your wellness journey. You want to tweak certain lifestyle choices. But you don’t know what to do next. That’s where I come in. Hi, I am Allison. Welcome! 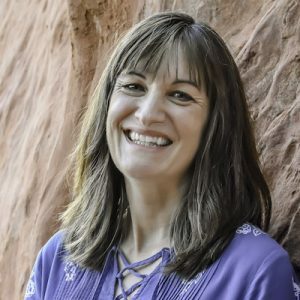 Welcome to my blog where I share things I have learned and am passionate about – namely health, nature, and natural remedies. But more on that in a minute. Let’s go back to where it all began. Here’s a bit about myself, which I will be referring to on my blog sometimes. I’ve been married to my best friend, Kevin, since 1997, and we have two beautiful daughters. I love marriage and family and have helped many families over the years. My university degree is in Psychology with a concentration in counseling. I think helping people live a better life runs through my veins. I have had a full, adventuresome life. I’ve traveled to many countries, lived in Turkey and China, and have also lived in several states in the US. Traveling has been our hobby and job for years. We’ve learned a lot about cultures, wellness, Chinese medicine, and different ways of life through our travels. Our most recent job before starting my blog… My husband and I started a non-profit in China to help teen orphaned girls coming out of orphanages and prevent them from being trafficked. We had a farm there where girls could work, earn money, and learn life skills. That was very rewarding, but also very challenging. Before that, I was a stay at home mom. And before that, I was a professional organizer off and on since 2004. Why Healthy Living in Colorado? 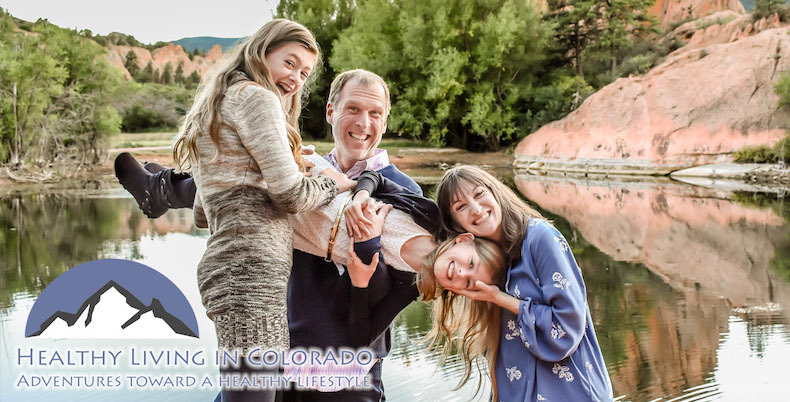 You may be wondering why Healthy Living in Colorado with all of my experiences and travels. Let’s start with the fact that I love a challenge, I enjoy learning new things, and I am passionate about helping others as you see above. I have been on the amazing health adventure for many years starting when we lived in California from 2010-2013. We were in a community where health was emphasized, and I really began to understand the importance of overall health. But I still ate pretty badly. A friend told me about Trim Healthy Mama because she had lost a lot of weight with it. I didn’t need to lose weight, but was interested in the health aspect of the plan. THM taught me things about diabetes, blood sugar, what to eat and what to avoid. The recipes on plan are really good, so I started cooking more healthy things for my family. It didn’t hurt that when we lived in China, our regular Western food couldn’t be bought at the grocery store. So homemade food was readily available like meat, veggies, etc. So our diet steadily improved. When I was 12, I was diagnosed with scoliosis and the doctor said I needed metal rods in my back. My parents did the parental thing and followed the doctor’s conventional advice. I appreciate that they tried to take care of me, but now that I know all I know, I wish they had taken me to a doctor of functional medicine first. I truly think that would have helped me and subverted a lifetime of issues with my back, hips, and knee. When I was 25, I was told that my gallbladder needed to come out because I had gallstones that caused me really bad pain. I didn’t know any better, and so I agreed to the surgery. Of course I wish now that I would have gone to a doctor of functional medicine first. I truly think that I would still have my gallbladder and that I would still be able to eat things that I shouldn’t eat now. And now I know I have to protect my liver since it’s being taxed with no gallbladder to help it out. Then watching people close to me – My grandfather (who was like a father to me) died in his 60’s of heart disease. He was a very healthy man until the very end. What happened? Even the doctors were stumped. My mother (who I was very close with) recently passed away from brain cancer. She was healthy until the very end. She was 64. We moved from California to North Carolina to care for her in her last months. She was told she would have a year with chemo and radiation. She endured both things, and lasted 11 weeks after diagnosis. Watching that process was so painful on all of us who loved her. What happened, and how can we avoid that, especially at such a young age? I don’t know what happened, but I do know that I want my family and me to be as healthy as we can through diet, exercise and natural living. Our lives are short, and I want mine to count. I want to be alive to see my grandkids and great grandkids. We all have our own story, and you are here because you are on your own wellness journey. By following me, you get someone who understands health concerns, childrearing years, aging parents, and the struggle that goes with overall health and wellness in the different life stages. You get a wider scope of wellness since we’ve lived abroad for years. And you get someone who loves to research, learn new things, and teach others. Let me help you take your natural lifestyle to the next level. Make sure you get signed up to my newsletter. (I promise not to bug you or sell your email address.) You will also want to join my free Facebook Group so you can learn, ask questions, and learn from others on their health journey. I’m also on Instagram and Pinterest. I’d love to see you there! I am not a medical professional. But I am a mom who loves her family and has learned a lot the last several years. I hope to share the ups and downs of life, things I have picked up along the way, funny stories, and beautiful pictures with my readers. And I want to learn from you as well and enjoy the adventure toward a healthy lifestyle together!